Fragmentation warhead is one of the main types of warheads, mainly by the role of high-energy explosives, the formation of a large number of high-speed fragments, using high-speed hitting the fragments, the role of ignition and detonation damage targets, and can be used for anti-effectives (human, animal), no armor or light armored vehicles, aircraft, radar and missiles and other weapons and equipment. According to the generation of fragments channels, fragmentation warhead can be divided into natural, pre-control and pre-fragmented warhead three types. Primary fragments are formed as a result of the shattering of the casing of conventional munitions. Tungsten alloy frefabricated fragments usually are small and travel initially at velocities of the order of thousands of feet per second. Secondary tungsten alloy prefabricated fragments are formed as a result of high blast pressures on structural components and items in close proximity to the explosion. These prefabricated fragments are somewhat larger than primary fragments and travel initially at velocities in the order of hundreds of feet per second. A hazardous prefabricated fragment is one having an impact energy of 58 ft-lb (79 joules) or greater. Tungsten alloy refabricated fragments forming a pre-processing will be the shape and quality of pre-designed steel ball, steel arrows, tungsten ball/tungsten sphere, tungsten prefabricated column fragments produced prefabricated sets of body fragments, and installed in the grenade projectile outer surface or inner surface. These prefabricated projectile fragmentation grenade explosion with the formation of fragments together constitute the natural fragmentation field, due to resistance of prefabricated fragments flying characteristic consistency, with tungsten alloy prefabricated fragments of the grenade will be set within the framework of the lethal effect of a relatively dense, full-bombs a greater degree of lethality increase. Tungsten heavy alloys usually consist of W-Ni- Fe or W-Ni- Cu or even W-Ni-Cu-Fe, some tungsten alloy also contain added cobalt (Co), etc., The most important property for tungsten alloy cube is its small volume and high density. The most important property for tungsten alloy cube is its small volume and high density. This allows it to be used whenever small but heavy parts are necessary, such as prefabricated fragments for military purposes. Because prefabricated fragments will affect the negative effects of missile body structures, usually only in low-pressure chamber which uses artillery andammunition, such as the forced large-caliber bullets and grenades. Applications also are the most common aircraft shells, grenades, mines and so on. 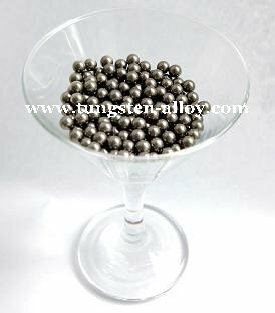 The current high chamber pressure tungsten alloy prefabricated fragments artillery, are used in canister form, such as Switzerland, L70-type 40 mm grenade where overhead is filled with tungsten carbide ball. 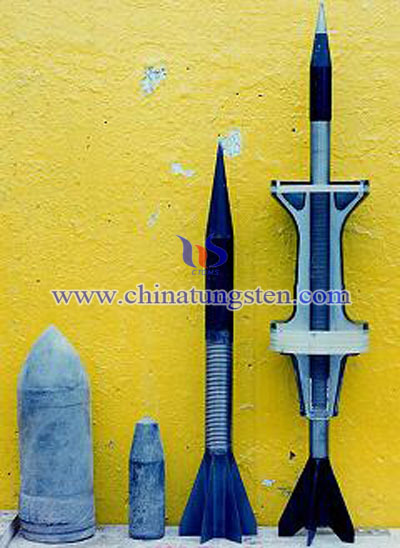 Tungsten alloy prefabricated fragments technology has been widely used on all types of warheads. Cylindrical fragments (tungsten column) are also often used as a type of tungsten alloy prefabricated fragments. Due to high density, armor-piercing capability tungsten alloy prefabricated fragments are widely used for military purposes. 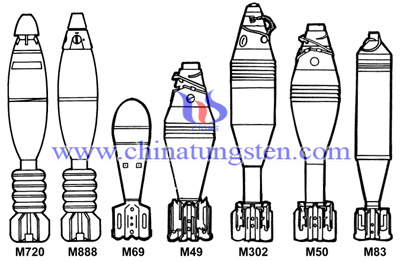 If you have any interest in prefabricated fragments or other tungsten alloy products for military purposes, please feel free to contact us by email: sales@chinatungsten.com or call: 00 86 592 5129696.